Came across a few terms when looking further into some of the problem spaces of digitally-augmented teams and organizations: experience strategy and complexity. Both of these terms speak to both the problem to be addressed, and the opportunities which lie at solving them. However, they might do so from differing perspectives and roles. Experience Strategy really is the “strategy and planning” end of design. 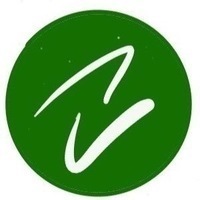 It is also the aspect closest to the emotional response of the client/customer. 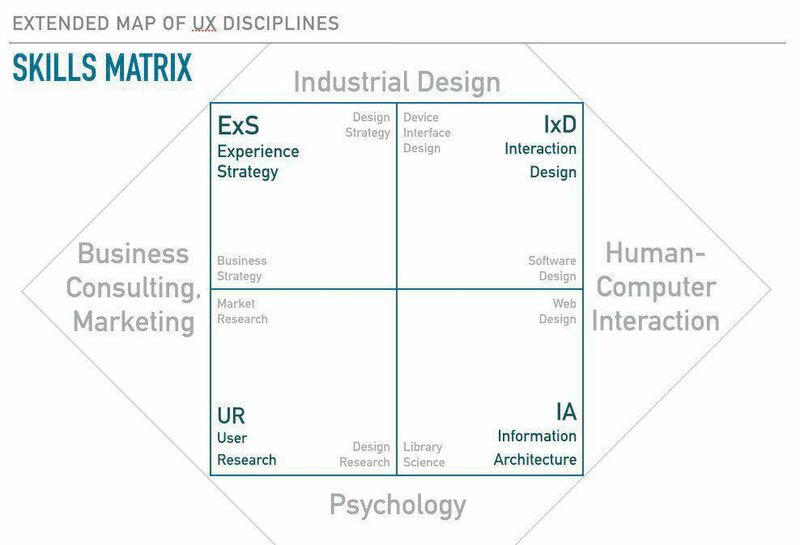 Experience strategy builds off of the other three aspects of user experience (if we are using the pictured matrix to define/describe UX). Complexity is expressed throughout the three other squares within this matrix. * For Interaction Design, you are expressing everything from the physics of movement (screens, textures, colors, time-between-endpoints, etc.) to how those physics are programmed in such a manner to be testable and consistently deployed. * For User Research, the benefit of feed back to drive measured and unmeasurable outcomes cannot be overstated. But, until there is enough research to inform strategic decisions, nothin about what’s measured in the experience can have lasting value. * For Information Architecture, the structure of information, even down to the tone of language and the formatting of page/screen layouts informs the experience. Strategy is leveraged not just in what has been measured and works, but also in what has been transformed as media and mediums rise and fall in use/acceptance. Augmenting processes and teams with tools and behaviors which have digital (both connected and not) means dealing with both experience and complexity. The challenge of process is not being bogged down by complexity, while not turning a blind eye towards its friction and impacts. The friction noticed within experience strategy enables the opportunity for solutions which seem simple on reflection, but are layered in how they arrived to that perception. This isn’t a roadmap towards a better solution, but more like the gravel on the path. Mapping user experience around these skills and perspectives enables Avanceé to better address team and market challenges. But, also enables Avanceé’s clients to best express their problem areas so that a clear measure of success can be seen and achieved.